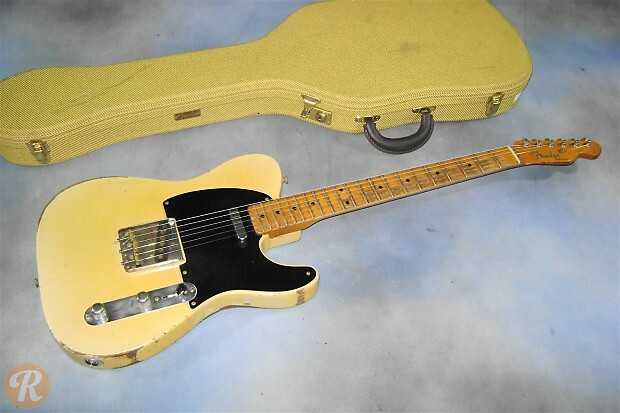 In early 1951, Fender renamed its only production solid-body guitar the Telecaster, replacing the short-lived Broadcaster moniker used in late 1950. 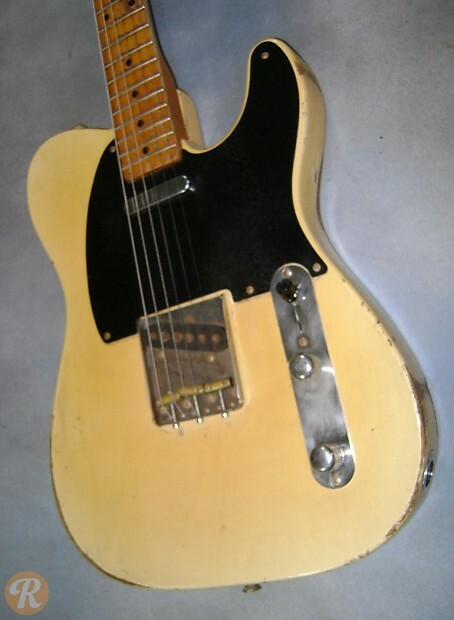 The Telecaster quickly became the guitar of its age, propelling the status of the solid-body electric guitar from novelty to the defining instrument of popular music. Like most long-lasting guitar models, the Tele has seen its share of variations and specialty models come off the line since the early '50s. The standard no-frills Telecaster, however, has stayed largely the same, strutting two single-coil pickups, a slab body of Ash (or later Alder), and an unmistakable twang that helped shape the sound of country and rock music. Unique to this Year: Philips-head screws used in pickguard starting in late-'52. 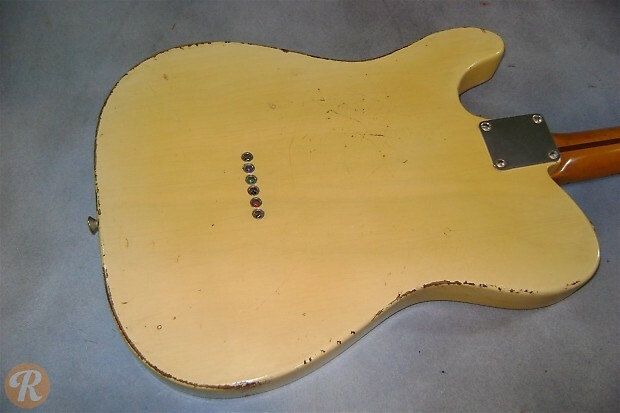 Finish Specifications: Blond was a standard finish for the Telecaster.